I've reeeeeally been neglecting the blog this week with a loads of stuff on my plate. Apologies guys! Anyway, I can't use that as an excuse without showing some stuff I've been upto and promise to get more regular at this! Been on placement as always today and yesterday and here's a few bits and bobs I was upto this afternoon. 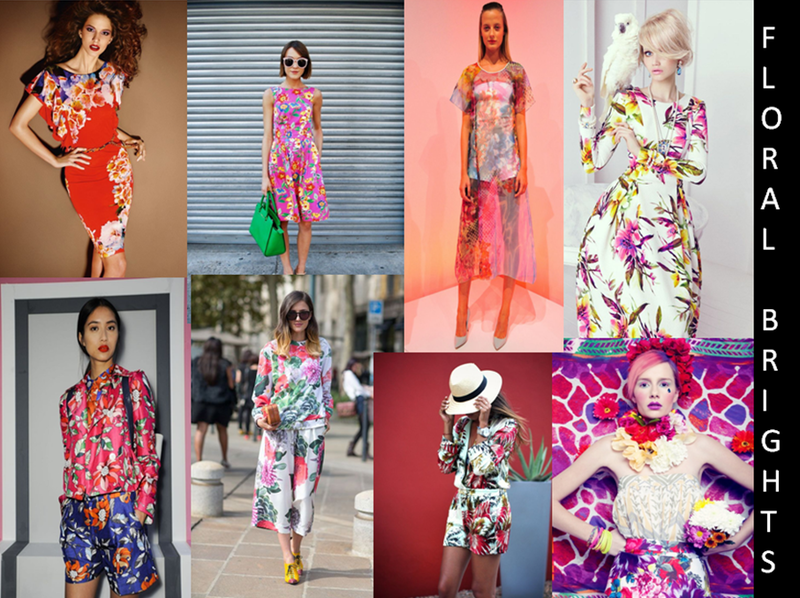 As we all know we're well into S/S 14 now and A/W14 trends are out already however I my placement is in retail high street store QUIZ's buying office and this week we're looking at floral patterns for high summer and the following transitional period. 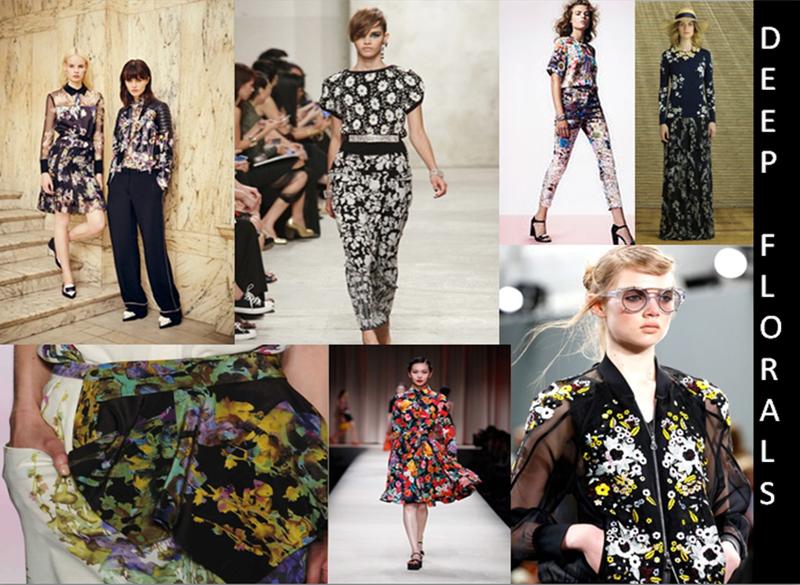 Florals for spring summer is such an obvious trend however this year are much moodier and dramatic. I split my presentation into four types to send to the buyers in the office. 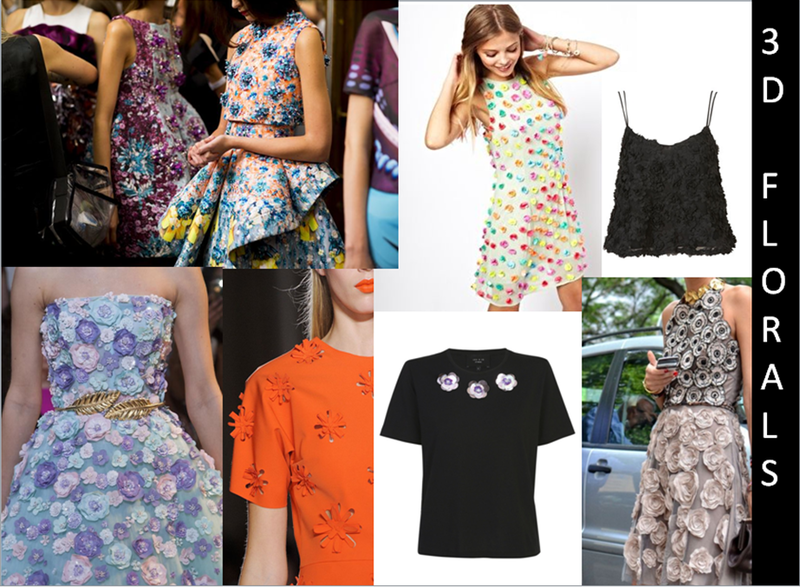 In each of my presentations I have used S/S14 catwalk examples however combined them with high street examples and various pinterest images which would be suitable and transferrable into developments for the store image. As always I've got loads to learn and would appreciate any feedback so feel free to leave any comments! Thanks for reading!